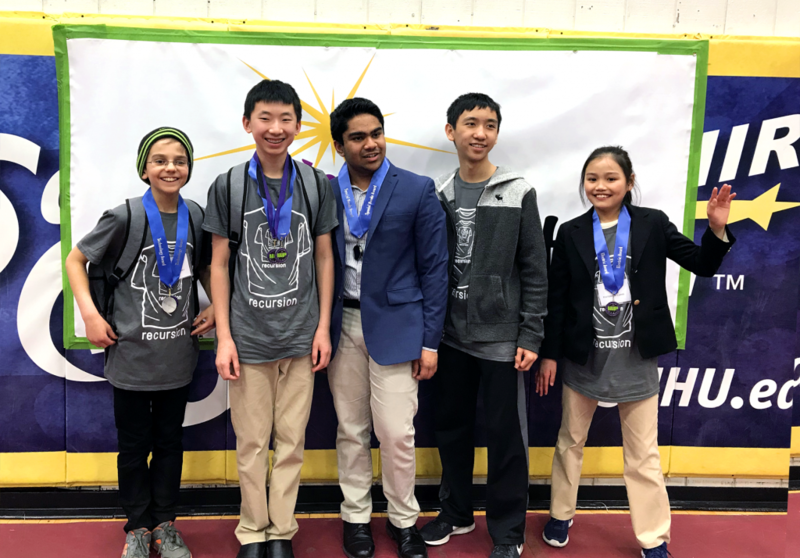 Congratulations to KTBYTE Robotics Club students whose many months of hard work were rewarded at the AAS Northern New England Regional Invention Convention on March 25! From left to right: Boyan, Jonathan, Sidharth (club leader/coach), Arthur (club leader/TA), Katerina. 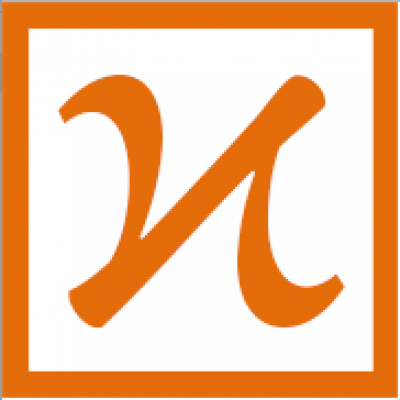 The Academy of Applied Science (AAS) is a New Hampshire-based organization dedicated to encouraging innovation in the younger generation throughout New England. 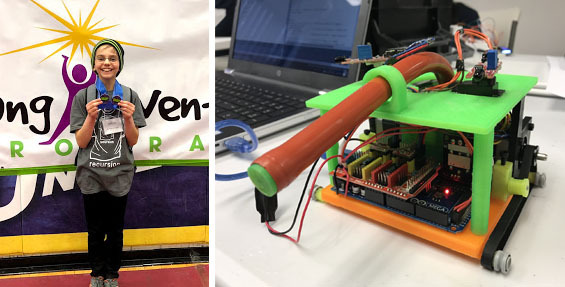 Each year, students showcase independent projects ranging from wearable tech to robotics and Rube Goldberg machines at their regional Invention Conventions. 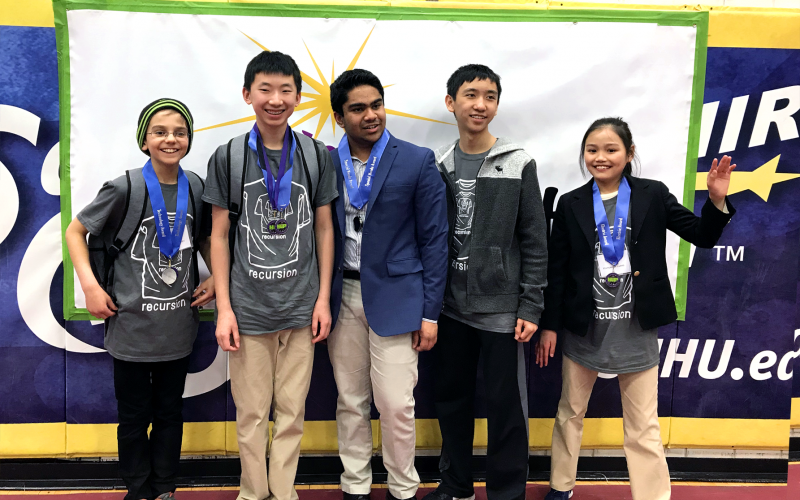 In the 2018 Northern New England Invention Convention, four KTBYTE Robotics Club students qualified to compete in the Nationals in Detroit. 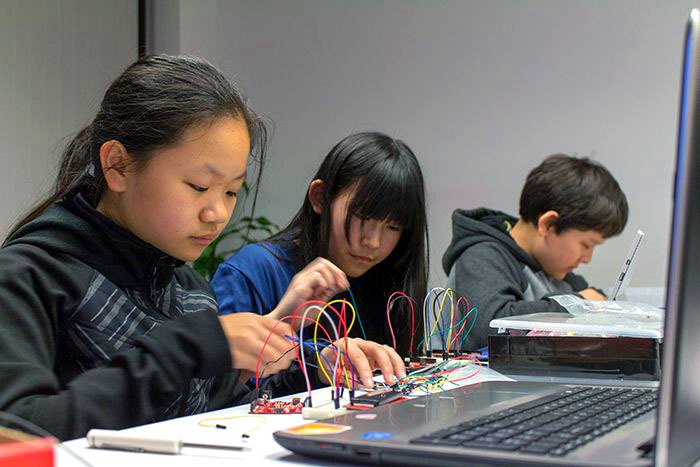 The KTBYTE Robotics Club is an in-person mini-class where students learn to build and code basic circuits using Arduino, an electronics computer platform based on easy-to-use hardware and software, then form teams to build independent projects. Sidharth, the leader of the Robotics Club and a current sophomore at Lexington High School, was awarded the Fidelity Innovation Award, the highest award of the competition. The KTBYTE Robotics Club will also be participating in the upcoming Cambridge Science Festival.